Tormore Island North is the 1475th highest place in Ireland. 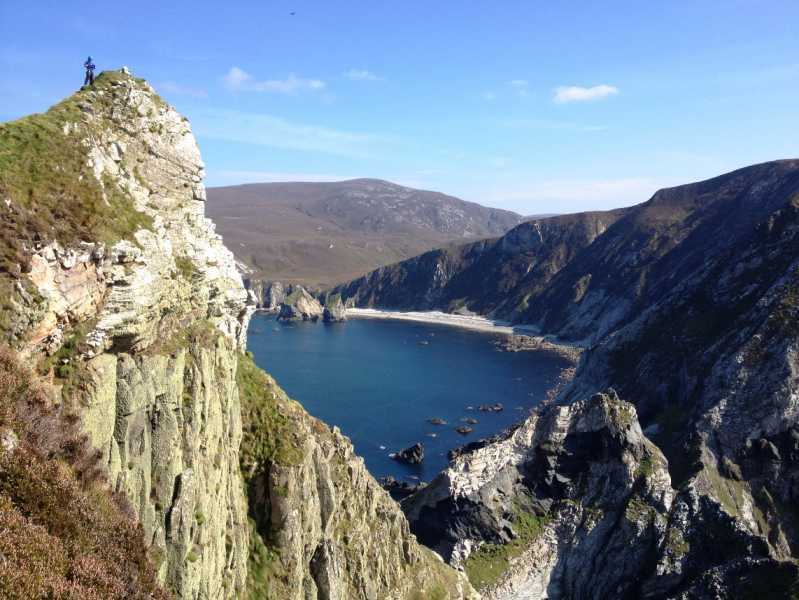 Tormore Island North is the most northerly summit in the Donegal SW area. Tormore Island is a gigantic leviathan, a sentinel of the deep standing guard at the nautical gates to the Slievetooey coastline. At 148m at it's highest point above the ocean it is Ireland's highest sea stack. This huge square topped stack can be seen for many kilometres along the coast either side of it. It can even be clearly seen from the Dungloe/Kincaslough road some 40KM to the north. This boy has been climbed twice, once in 2009 and again in 2014.